I’ve hijacked #tbt and turned it into #ttbt so I can tell stories about old photos of my past adventures. This time: Madinda, the elephant that did her own thing (and therefore the BEST elephant). Trunk up! 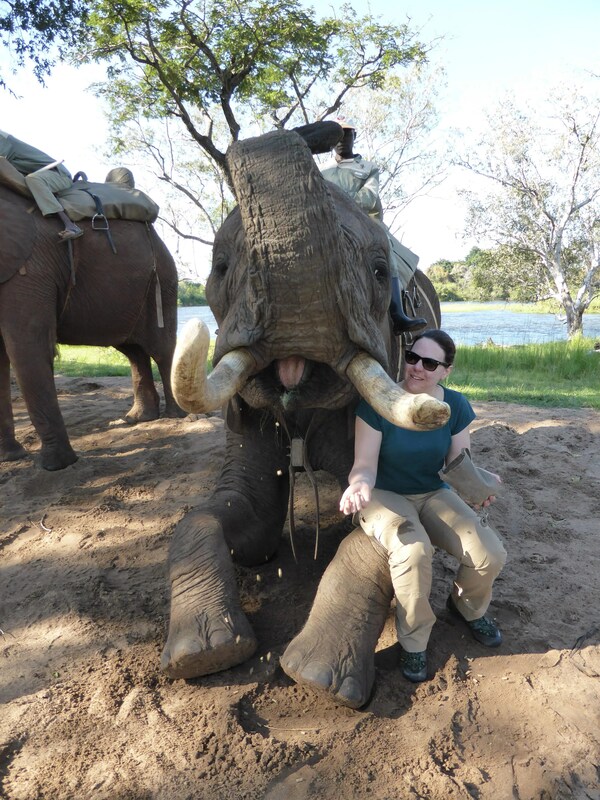 And yes, that is elephant drool on my trousers. When most people in our group chose to go walk with Lions, my tentmate Tori and I chose to ride an elephant, and it was the greatest. We chose the elephant with a rebellious streak. Or, we ended up with her anyway. She was the biggest and I think most of the other people were a bit scared. 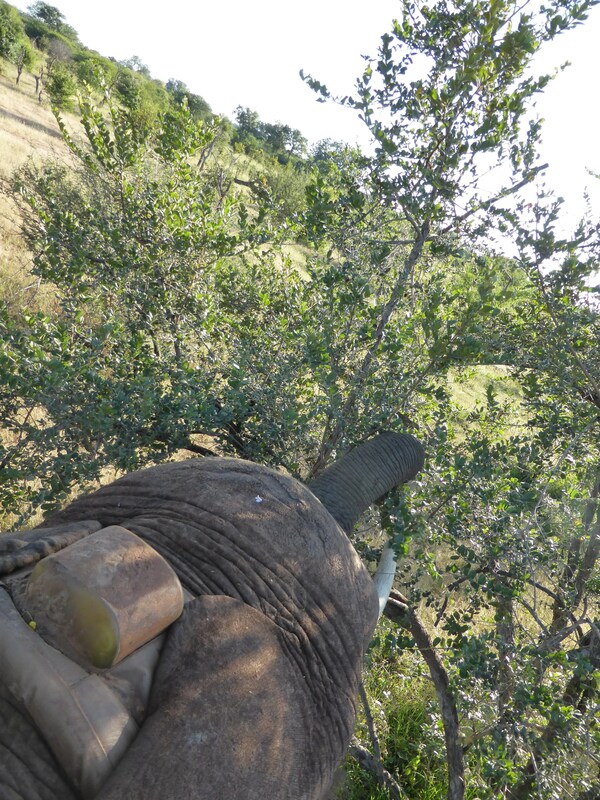 The minute we got on Madinda, she broke right away from the rest of the elephants lumbering along happily in a line, and shot straight for the tastiest looking tree. This made for a bit of a bumpy start. Tori was a little worried, particularly considering this ride was turning out to be the most unique hangover cure ever, but I was loving it. After our ride, we got to give Madinda loads of treats and have a little chat with her. She was absolutely lovely and I’m glad we got the standout of the herd. Also, just so you know, the place we did this was very good. The elephants are actually free to go off and do whatever they want when they’re not doing their ride in the morning. They come back of their own free will. They’re clearly treated very, very well. And they seem to enjoy the whole thing (and the extra snacks of course). Another tasty tree. YES PLEASE.